An openplan office means sitting closer to colleagues or even sharing desks. More sharing means more people worry about office hygiene. 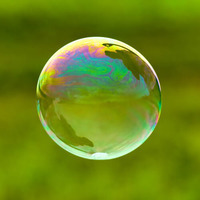 * The solution? 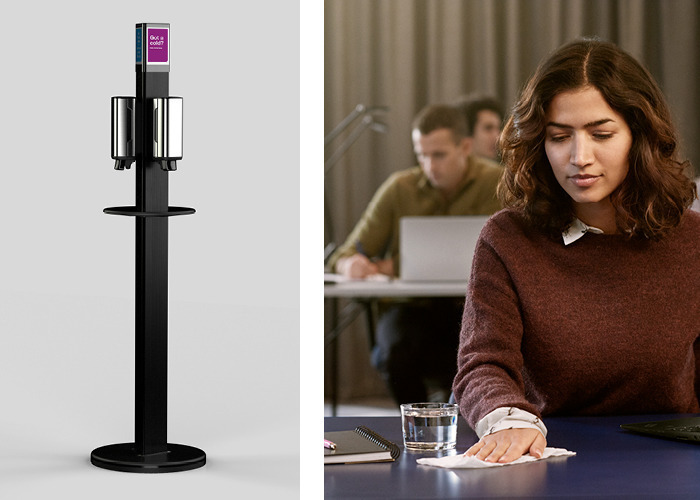 Move hygiene solutions such as hand sanitisers and facial tissues in the office environment with the Tork Hygiene Stand. 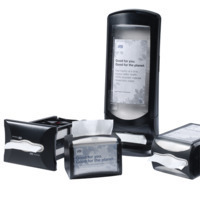 The Tork Hygiene Stand conveniently provides hand sanitsers and facial tissues close at hand and reminds your employees of hand hygiene. Ready to improve hygiene in your workplace? 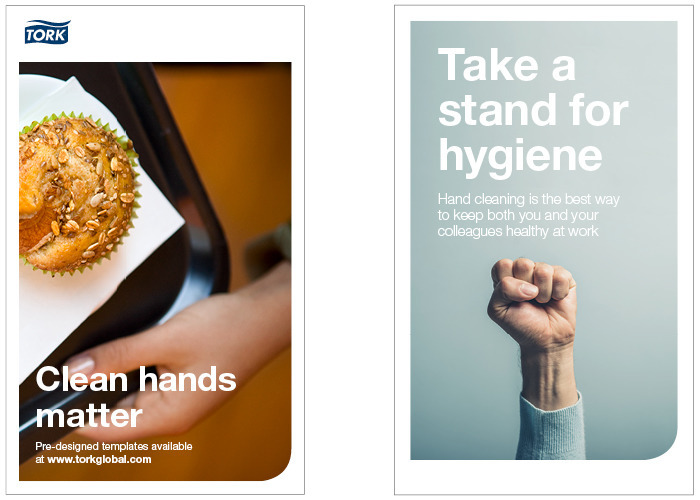 Let your Tork Hygiene Stand speak to employees, visitors and guests with AD-a-Glance®. 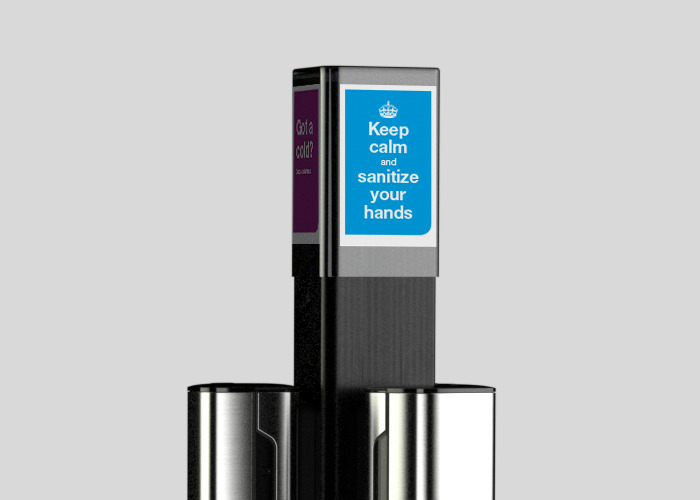 The customisable display window is a perfect tool to get your message across and encourage improved hygiene. With our web-based platform, designing and printing your own message card is easy. Customise your messages and make the most out of your Tork Hygiene Stand. Looking for a shortcut to a bright and stylish AD-a-Glance® message? Choose from our inspiring range of ready-made templates, and designs from other customers.